“Questica Budget Capital has provided unlimited versioning and "what-if" scenarios which allows for quick bottom-line budget impacts when switching between proposed versions." The City of Windsor, ON is the southernmost city in Canada and located on the border between Canadian and United States (U.S.). Windsor’s economy is based primarily on manufacturing, with a strong focus on automotive. Tourism also plays a vital role in the community, offering extensive riverfront parks systems, casinos, and a nearby wine region. The City of Windsor needed a budgeting solution that would ease the process of budget preparation, ensure accuracy and provide a clear picture of their Capital budget. Following a thorough investigation of solutions available, Windsor concluded that Questica Budget was the only option that would provide them with the functionality they required. The City of Windsor recently implemented a new budgeting policy requiring the preparation of a 5-year budget plan: 1-year budget, plus four subsequent “in principle” budget years. At the start of each budget year, as the “in principal” budget information gets pushed up, a fifth year “in principal” is created. The budget process begins in September with the Finance departments distributing project detail worksheets, created in Excel, to each department, who would then review the figures and adjust to reflect changes, as well as any new projects not captured in the five-year plan. These worksheets were then re-entered on summary spreadsheets. Given the amount of data entry, the element of human error was extremely high, with links not updated, mistakes not captured and budget figures not rolled up. Revised budgets were then submitted for review by a group of senior administrators and council members. This stage was particularly time consuming. The matter of bringing all key department personnel together to review each budget change was challenging and every change needed to remain in line with council objectives (and available funding). The goal was to have the budget approved and in place by the end of the calendar year, but this proved challenging, in terms of involved parties being able to balance all their responsibilities at any given time. Departments also found that, the longer the lead time they had to secure suppliers for projects, the better pricing they could negotiate. With the budget process taking so long, it was difficult to understand what the budget would look like when approved, and this made negotiations more challenging. The City of Windsor needed a budget system that would allow them to navigate the review and adjustment process of budget preparation more easily, ensure data accuracy, save time and resources and provide a clearer picture of their budget at any stage. As the City of Windsor began the process of investigating options, they discovered that several other cities fitting the same requirements as theirs, had already gone through the lengthy RFP process. Based on discussions with these cities, including review of their RFP requirements, responses and associated research, as well as their own preliminary search of options on the market, they came to the determination that Questica Budget was the only option that provided them with the functionality they required. 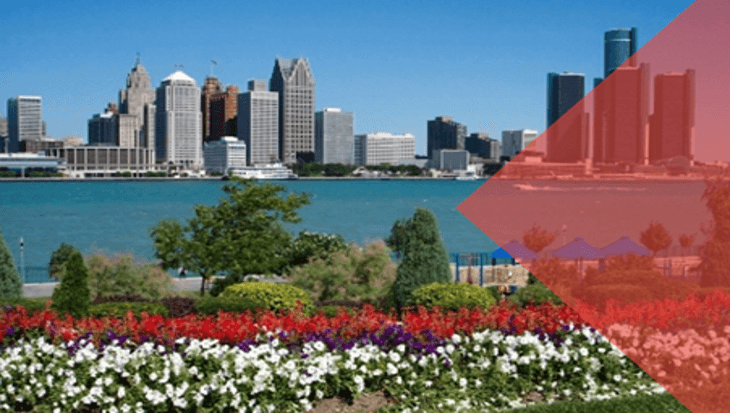 Questica Budget solved the challenges faced by the City of Windsor in the preparation and tracking of their Capital budget. In budget preparation, it all boils down to time. While Questica Budget doesn’t eliminate the number of people involved, it has cut down on the time required of each person. One meeting can be scheduled, and with all key players in the room, multiple changes can be made to a budget in real time and the impact of each change seen immediately. They are no longer faced with the challenge of scheduling a meeting for all key players every time a change is made. Questica Budget provides users with a real-time picture of their budget as it proceeds through the approval process. This enables departments to have an earlier understanding of what their rough budgets are. Since much of the work is contracted out, this is useful as it gives departments longer lead times to source out and negotiate more favorable terms. The ability to create forecasting models and scenario simulation benefits the City. Information can be compiled quickly, providing departments with the opportunity to tweak their projects prior to submitting for review. They can be certain they’ve tried every approach to their budgeting requirements and are submitting the most effective proposal. Questica Budget provides a point of reference for users when developing budgets. Previous budgets or elements thereof, as well as note attachments, allow users to access historical and statistical data critical to understanding what has worked or hasn’t worked in the past. It’s no longer necessary to track specific people or search through mountains of paperwork to recover information. Questica Budget provides 100+ out of the box reports, along with unlimited number of reports capturing specific information and graphical formats. The challenge of getting up to date budget data quickly, has been eliminated. Questica Budget allows users to generate reports based on various criteria and categories.Given the nature of the budget review process by council, this flexibility is invaluable. Thanks to more efficient budgeting, Windsor is brilliant.